Quality replacement parts for chain saws made by popular brands like Echo, Husqvarna, Homelite, Makita, Stihl, and McCulloch. 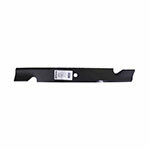 Find aftermarket saw chains, guide bars, saw sprockets, recoil starter parts, chain saw tools, and safety gear. You can search by using OEM part number, aftermarket part number, and part name or you can simply browse through our intuitive parts categories below.